Who will come before the salt or pepper? 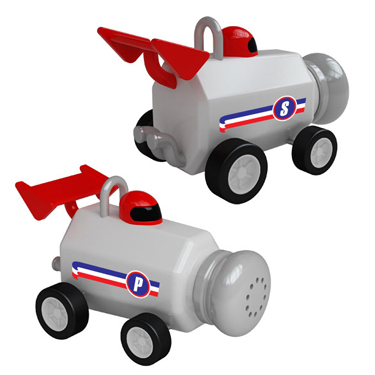 Now you can answer that question with our pepper shakers formula 1. Poles, fastest laps and winner of the race is what will become the table. With your guests, do not leave the table to pass the salt or pepper, just takes a bit of a running back and release the car, in the blink of an eye, salt and pepper are ready again to another career.